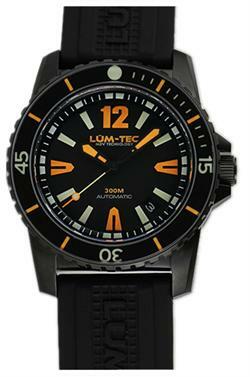 The 300M-3 XL has a bold orange and black design and comes with both stainless steel and molded leather straps. The watch features Maximum Darkness Visibility (MDV) technology and Miyota 9015 Japan automatic movement. The 300M-3 XL has a bold orange and black design and comes with both stainless steel and molded leather straps. 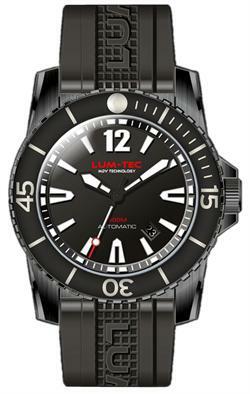 The watch features Maximum Darkness Visibility (MDV) technology and Miyota 9015 Japan automatic movement. 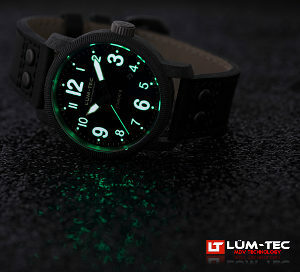 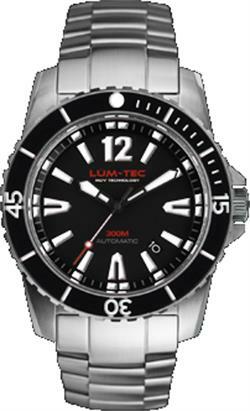 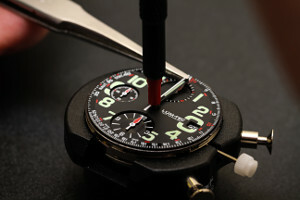 Part of Lum-Tec series of diver's watches, the 300M-3 XL is water resistant at 300 meters. 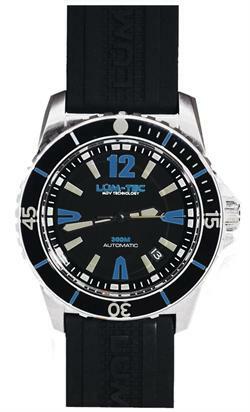 This diver's watch comes with a one-year limited warranty and a lifetime of timing adjustments.